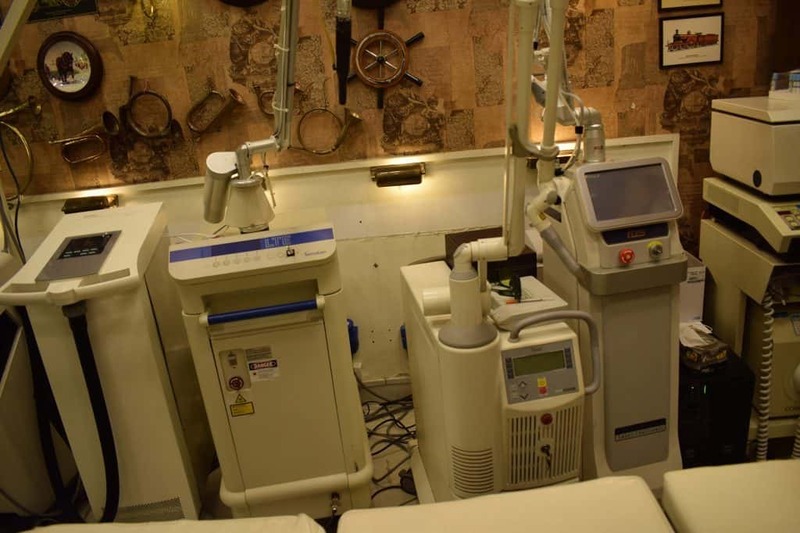 Prof. Dr. Ikram Ullah Khan – Best Dermatologist and Skin Specialist in Islamabad having the latest equipment with his 30 – 40 years Experience make best combination for his patients. Thats why patients love to visit Prof. Dr. Ikram Skin Clinic when they have any skin disease. Prof . Dr. Ikram Ullah Khan uses the best and imported equipment in his Clinic. His Clinic is Considered as top Clinic “machine and technology wise” in whole Asia. Erbium Yag Laser is one of the best laser for Acne , Acne scars, Pigmentation and other. If You are going to treat your Skin with erbium Yag Laser Must Read this Article for your Queries. Erbium Yag laseris Used for? By creating microscopic wounds (400 microns) within targeted areas well beneath the outer layer of skin, fractional laser treatment triggers the body’s natural healing process accelerating the production of collagen and new healthy skin cells. Does erbium yag laser treatment hearts? What is done for the pain management? Patient is asked to apply the topical anesthetic generously on the area to be treated about 1/2 hour before the procedure starts.Could air is also used to alleviate pain. How long does it take to treat the whole face? How many treatments are required in wrinkles,stretch marks and acne scar? On average 4 to 5 sessions spaced about 2 to 3 months apart for wrinkles,stretch marks and acne scars. What kind of results are seen in post acne marks? More than 50% to 90% of the post acne pigments oozes out in just one session & the patient starts seeing the results after the end of 2nd or 3rd month of having laser treatment. What kind of results are seen in melasma? If it suits the skin, something which is evaluated at the end of the month of doing a laser spot testing,most of the pigmentation oozes out in just one session. How does the skin look like immediately after the treatment? It looks red.There might be some swelling. When does the skin get back to normal? After 3-7 day, skin starts flaking off,revealing new skin beneath. Can makeup be applied after the treatment? Preferably no.But if it is very necessary,it can be applied and removed afterwards with glycerin and rose water. when does the patient starts seeing results? Results will be from 3rd to 4th month.